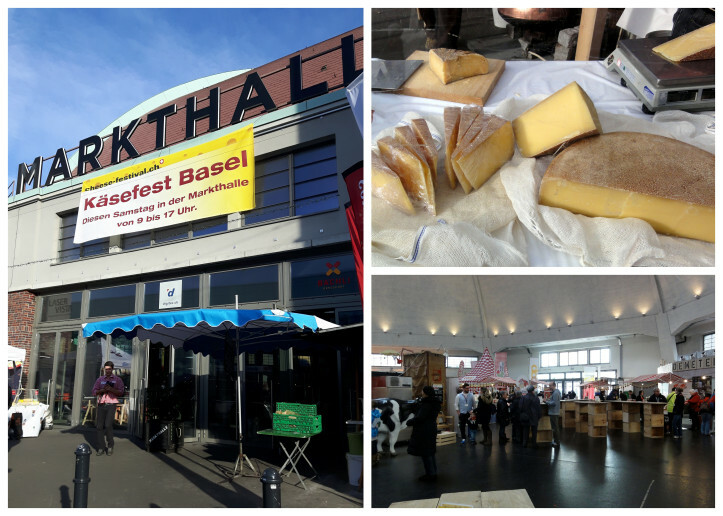 A festival dedicated entirely to Swiss cheese seemed like a good way to spend a Saturday morning, so I hopped a train to Basel to check it out last month. If you enjoy sampling cheese and having the opportunity to talk to and purchase directly from local producers, then here’s a brief summary of my visit (including the beer fondue! ), as well as information about other cheese events coming up in Switzerland this year. Sponsored by Trägerverein cheese-fesitval, an association that promotes Swiss cheese, this one-day festival in Basel took place at the Markthalle, (home to lots of interesting food vendors, so I hope to return there soon!). It’s located within walking distance of the main train station.